This is DVD for Conversational Chinese 301 Volume One. Best-selling Chinese textbooks for learners Overseas in 17 years! These are the books of 2nd printing of 3rd edition which are the most current edition. 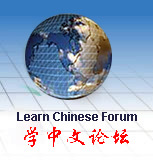 This series is an intensive course books for people who have just started to learn Chinese and lays emphasis on improving the ability of the learner to use Chinese for communication. It integrates the communicative function with the grammatical structure and presents the most essential and useful part of the language in the linguistic environments one is usually exposed to in daily life, so as to enable the learner to master the 301 basic conversational sentences fairly quickly, and on that basis, through substitution and extension practice, to acquire the ability to carry on simple conversations with the Chinese. In this way, the books will also help lay a solid foundation for further study. This order is DVD for Conversational Chinese 301 (Vol. 1). Recommend playing devices: Computer with DVD drive.